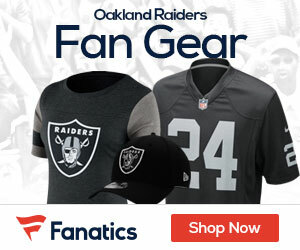 In a thrilling overtime victory, the Oakland Raiders defeated the San Diego Charges 23 to 20 in Oakland Thursday night. The game marked the final home game for Raiders safety Charles Woodson who will retire at the end of the season after 18 years in the NFL. The game may also have been the last that the Raiders play in Oakland as there is a possibility that the team moves to LA in the off-season.. Sebastian Janikowski kicked a 31-yard field goal in overtime and the Raiders got a defensive stop to cement the win. The Raiders are now 7-8 and the loss drops the Charges to 4-11. Oakland faces the KC Chiefs next Sunday while San Diego faces the Broncos in Denver. Oakland won despite 16 penalties, including five on their overtime drive, and despite getting their only first down of the second half on a 3-yard touchdown drive. But the Raiders offense did move the ball in overtime after winning the toss. Three straight penalties left the Raiders with a second-and-29, but San Diego’s Denzel Perryman bailed them out when he was called for a personal foul for hitting a defenseless Michael Crabtree in the head. Oakland WR Seth Roberts then made a juggling 33 yard catch and run that put Oakland on the 10 yard-line. That’s when Janikowski hit the go-ahead field goal. On San Diego’s possession, the Raider defense held tight, as the Chargers were unable to move the ball. This victory was about as good as it gets for Oakland and it’s fans. Since moving back to Oakland in 1995, the Raiders have the 7th worst record in the NFL, and have been the worst team in football since 2002’s heartbreaking Super-Bowl drubbing by Tampa Bay (which was actually play in Jan 2003) Oakland has played San Diego 27 times since then, and have only managed 7 wins – including just 3 at home.. So was this the last Raider game in Oakland? Stay tuned to www.RAIDERSGAB.com for more Raider news!! !